Teeth Whitening Cost, which contains information about Cost of teeth whitening, cosmetic dentistry, teeth whitening cases, photos and guide. Veneers Cost, info about cost of veneers, cosmetic dentistry, lumineer cases, photos and guide. Prosthodontic Management of Dental Implants by Dr. Paul Achacoso will be held on November 15, 09:00 AM to 5:00 PM at SMX Convention Center - Meeting Rooms 7 & 8. For more info contact JRLT Trading at 416 5339 or Dio Implants Philippines at 219 9912. Maxillary Sinus: A Viable Space for Dental Implants is a 2 day symposia on maxillary sinus, platelet rich plasma and platelet rich fibrin, hands on training on PRP manipulation with live patient and live sinus lift demonstration. Philippine Dental Association Information Committee - PDA Explorer July 26 2010 meeting. 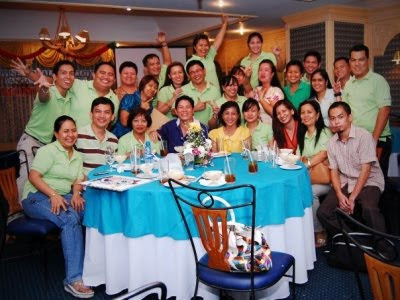 Philippine Dental Association Information Committee - PDA Explorer July 2010 meeting. Auxiliary High Speed System for dental clinics. It can be bought in Quiapo and Avenida. I've received several emails asking for contact info of dental colleges and universities in the Philippines. 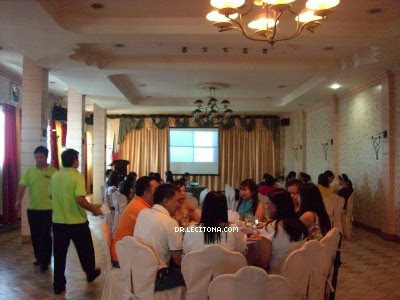 The Philippine Dental Association-Kidapawan Chapter's 3rd Induction, Turn-over & Scientific Lecture will be held today. Registration starts at 4pm, Daryl Hall, AJ Hi-Time Hotel. Dr. Marissa Brual (PDA President), Dr. Arleen Reyes, Dr. Jay Perey, Dr. Joel Edroso, Dr. Albert de Guzman, Dr. Arturo de Leon, Dr. Rey Agcanas, Dr. Malou Coronacion, Dr. Fely Albesa & Dr. Sheng Tuazon and other PDA Officers will come to the said event. 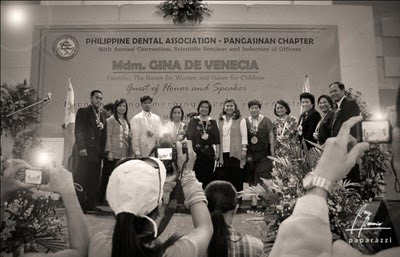 The 15th Biennial Seminar and Induction Ceremony of the Endodontic Society of the Philippines will be held on July 11 (7-11), 2010 at QC Sports Club. ESP has invited 3 foreign speakers for this event. The preregistration for members is 2,000 pesos and 500 membership fee and for non members it is 3,000 pesos. For more details, email idaendo[at]yahoo[dot]com. Center: Dr. Stephen Almonte. Right to left: Dr. Jem Cino, Dr. Arleen Reyes, Dr. Christine Valerio, Dr. Alvin Laxamana, Dr. Michael Baybay, and me. Osseointegration Inc. is one of the exhibitors of Philippine Academy of Implant Dentistry Conference on Oral & Maxillofacial Implant Surgery & Prosthesis on January 14 to 15, 2010 at Manila Hotel. They are offering big Promos and big Discounts on the spots. They have packages were dentists can choose from and get Big Discount for more than 60%. If you cannot join the conference they can accommodate you through call or text this cellphone numbers 0916 5194486 and 0909 3671944. 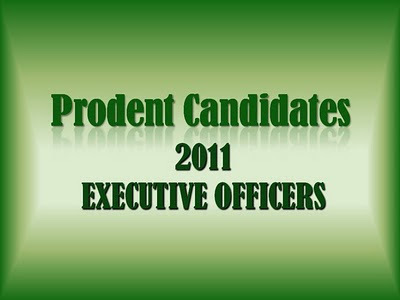 Promo period is until January 15, 2010 only. Dentists Philippines - Philippine Dental Clinics is an online directory of PDA Member dentists and dental professionals in the Philippines. Dentists are categorized according to the location of the Dental Clinics. It's also searchable. The website is on beta stage so expect some bugs on some pages. As the trend toward digital dentistry continues to gain acceptance around the world, the challenge for dental professionals is to understand the differences not only between different materials and technologies but also the subtle differences within the same material and technology type. This lecture will explore the benefits of CAD/CAM technology and zirconia in dentistry. The lecture will include comparisons to other materials, a discussion on different zirconia material, laboratory considerations, capability and accuracy achieved with technology. In a total smile make-over, we are not supposed to focus only on dentition. We are to consider the soft tissues as well, especially the gum area, for a really confident smile the patient can possess. In this discussion, dentists will learn how to achieve excellent aesthetics with crowns and bridges, complete and partial dentures, and implant prostheses with natural-looking gum colors.